A charming country inn, nestling in the picturesque Northumbrian village of Eglingham, the Tankerville Arms offers traditional hospitality. It is popular with locals and tourists alike, and serves mouthwatering British food with an occasional international flourish. The Alnwick Garden, near Alnwick in Northumberland, is an inspiring landscape with beautiful gardens, magnificent architecture and unique features, including a treehouse and a poison garden, all brought to life with water. The Art House is a cafe and restaurant located in a centre for contemporary art that you can browse whilst eating. All of the art is for sale. 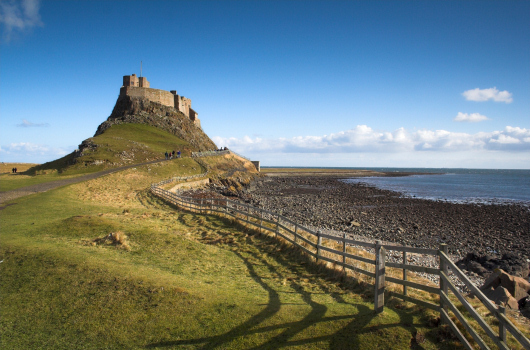 The Barn at Beal enjoys a spectacular location overlooking Lindisfarne National Nature Reserve (NNR). The Ship Inn in Low Newton-by-the Sea is a small, busy and efficient inn offering food cooked freshly to order. They pride themselves on simple food cooked using first class local ingredients. They have a small evening menu that changes daily. The Treehouse in The Alnwick Garden is one of the most magical and unique restaurants to be found anywhere in the world. Enjoy a meal high up in the treetops, with a roaring log fire in the centre of the room, and trees growing through the floor. Oh, and the locally-inspired food is delicious.